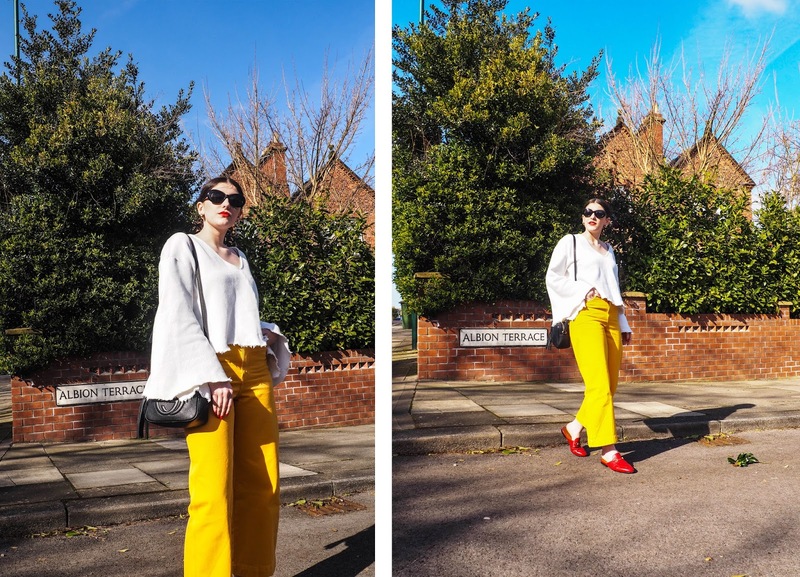 In my last post, I talked all about the Crayola Brights trend alongside sharing my shopping list of key pieces for rocking the trend in question. For me, it's all about colour blocking those eye-catching colours in the brightest of hues. 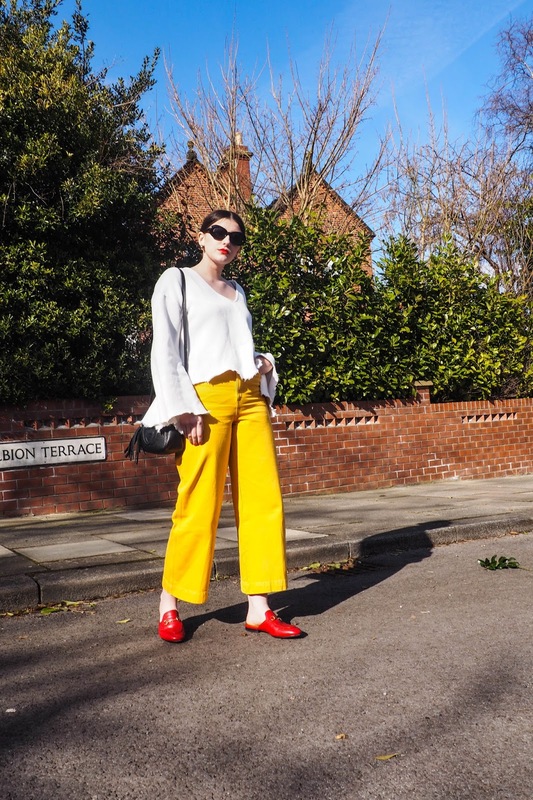 Yellow is a colour I absolutely adore, and find works quite well with my fairer skin tone, particularly when paired with a pop of red! Mmmm, delish. 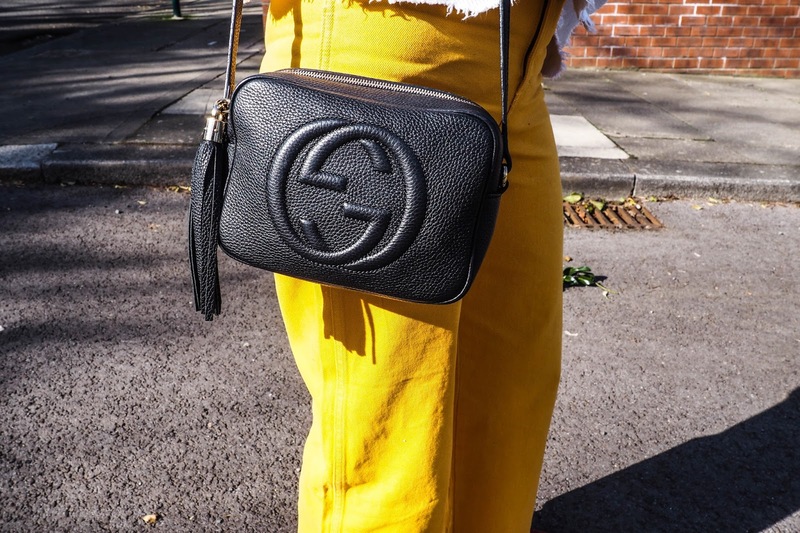 However I noticed that despite my love for yellow, it was a shade seriously lacking in my wardrobe - a problem that was to be resolved with immediate effect, obvs. Within a week I'd bagged myself three yellow items (oops!) - a yellow denim jacket, coat and these BADASS jeans from Weekday. Aren't they amazing? 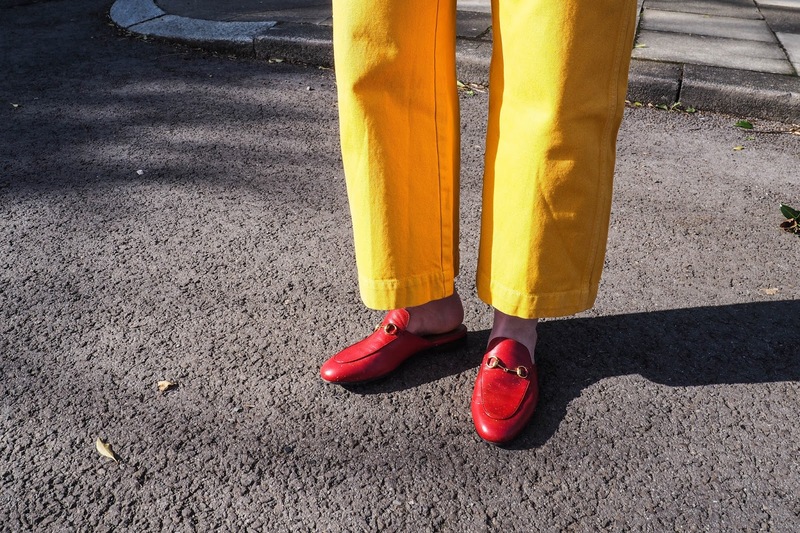 As soon as they arrived I just knew I had to pair them with my post-box red Gucci Princetown loafers for the ultimate colour clash! And I must admit, I'm pretty damn pleased with the outcome. 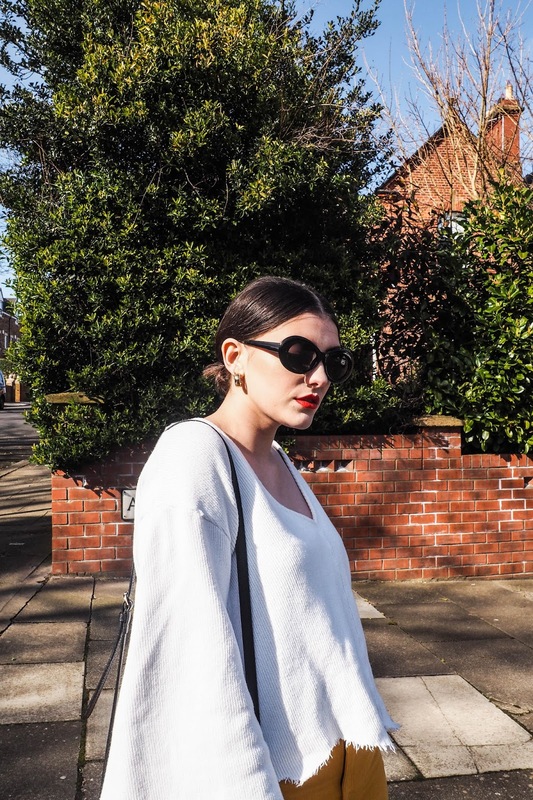 I tied the whole look together with several other smaller touches of red in the lips and nail colour - some may say OTT, but I say it's 'fashUN baby' - and my failsafe black Soho Disco bag and sunnies combo. I gotta say, I think my cost-per-wear for these jeans will quite literally be down to the pennies come this time next year. 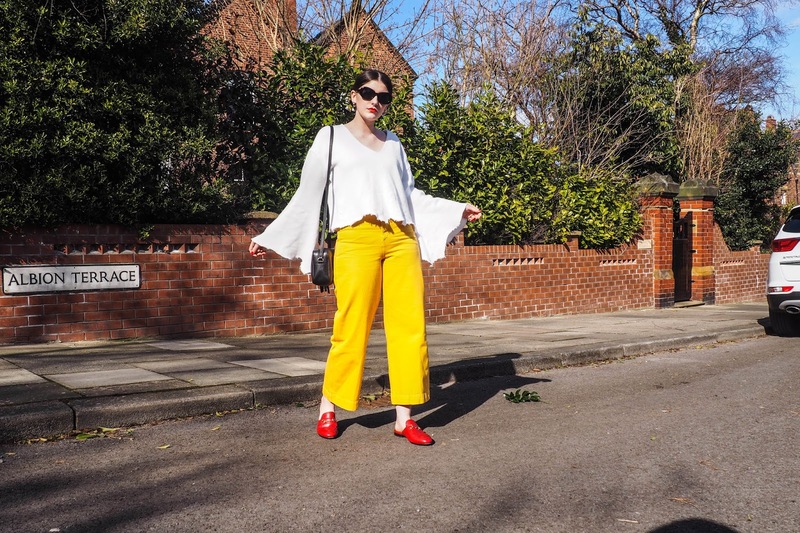 Being a primary colour, yellow goes with pretty much anything, so you're already onto a winner with these babies. Plus, I've had my eye on a new pair of Gucci loafers for a while now in bright green, which I think would look absolutely killer paired with this look in place of the red! Dontcha think?